The importance of ongoing staff training and development cannot be ignored. There are many reasons why this is essential for your business. Of course, if your staff improve their skills and their understanding, they are going to be able to work better for your business, which means improved results for you. This enables you to stay ahead of the competition, as your employees will be up to date with all of the latest industry changes and technological developments. You will also be able to see where there are any skill gaps or weaknesses that you need to address. Not only this, but it will increase job satisfaction amongst your employees, which increases retention rates, enabling you to keep a hold of your best talent. As you can see, the case for ongoing training and development is evident, however, you need to ensure that you implement this correctly if it is to be a success. Keeping that in mind, read on to discover some top tips for implementing successful training at your business. This is where a lot of business owners go wrong when implementing training programs: they don’t measure results and they don’t set measurable targets. How are you supposed to know whether your training program is effective if you do not analyze the results of it? You won’t be able to view your development courses as anything more than an expense. You need to decide what objectives you want to reach by implementing training. How are you hoping this will benefit your business? What kind of growth do you expect to see? What do you want your employees to achieve? By determining a list of goals, you can then see whether your training program is working or whether you need to make some changes. Don’t make your list of goals too long, though. We all have different learning styles. However, one thing that tends to be consistent for most people is that they cannot take in large chunks of information at once. Our brains don’t have the capacity to handle masses and masses of information. This is why it is a good idea to use microlearning. The microlearning definition is as follows: a procedure that involves delivering bite-sized content to learners, so they can consume the information in one go and apply the knowledge straight away. A lot of people find that microlearning is a much more effective approach, especially for those who have short attention spans, which let’s fact it, is a lot of us. Another tip is to make sure that training is something available to all levels. Don’t merely focus on new employees or those who are in the lower level jobs. Everyone has the capacity to learn more, no matter how prestigious his or her job title is. Plus, it is likely that those in better roles, so to speak, will be of greater value to your business, and that you will want to hold onto them. This is why training is even more vital, as you will keep a hold of your best talent by improving the options you give them in terms of development and job progression. This is a really important point. 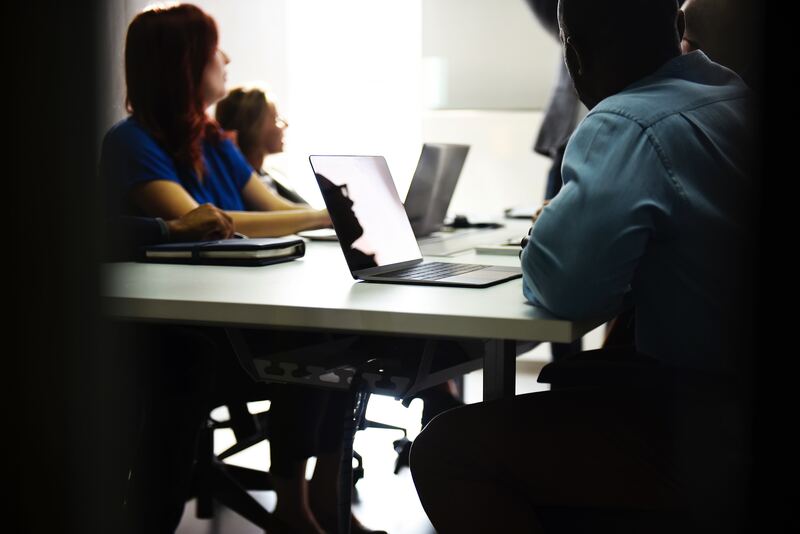 Some employees may feel like they are simply taking a training course for the sake of it, and this can make them resent it rather than seeing training as a benefit. This is why it is important to provide clarity, showing your employees the connection between the training course and their job role. How are the training sessions going to benefit your workers? What will they gain from the course and how will it make their job easier and help them to boost their professional portfolio? By clarifying this, your employees will not only be on board, but they will attend their training sessions with greater enthusiasm and will to learn, which will undoubtedly yield better results. Another tip is to make sure that you choose a training location that is conducive to learning. You should select somewhere that gives you enough space to spread out materials, and make sure the environment is quiet. After all, no one is going to be able to learn if there is a lot of noise going on. Of course, you will need somewhere that is equipped with a projector and computer. Your training sessions need to be visually stimulating so that everyone is engaged. There are plenty of training venues to choose from today, so you should have no problem choosing a good spot. The success of your efforts will largely rely on the person who is conducting the training. Whether it is a knowledgeable staff member or a professional educator, you need to make sure they can deliver a training session that is effective and keeps everyone engaged. Having the right training materials is also crucial. These materials aren’t only important for the training session itself, but they give your employees something to refer to after the training if they need to go back and clarify a few points. Make sure you rehearse your training program to a small group of people before you roll it out properly. This is a good opportunity for you to get some feedback and make any changes that are required. After all, you wouldn’t release a product onto the market without testing, would you? So, why should a training course be any different? With informal benchmarking in place, you will be able to find any weak points regarding your training plans so that you can address them. If a company is not learning in today’s fast-paced business world and economy, then it is only going to fall behind the competition. Needless to say, your company only learns when its people learn. You need to communicate your expectations to all of the staff members you have working for you. Make sure that they are honing their skills and that they stay abreast of the latest industry news. Of course, if you want your employees to act in this manner, then you are going to need to support them too. You cannot expect your workers to progress their skills and make the effort to learn if you do not provide them with the resources to do so. This is one of the most important questions you need to ask yourself before you roll out a training program. What do you need? What are the main areas of concern for your business at this moment in time? After all, you cannot address everything right now. You need to think about what will provide your company with the biggest payback, what issues are the most pertinent to address, what areas you are lacking in, or what your company is going to need in the future. By thinking about this, you will be able to determine what areas your training course needs to focus on. Whenever you decide to move forward with a training course, you need to think about the impact the course is going to have on your business and how it will eventually prove beneficial to it. By considering this, you will know whether it is worthwhile or not. Last but not least, it is critical to remember that training is an investment. A lot of business owners simply view training as an expense. However, you are going to make more money in the future if you spend money on training now. This is because you will be enabling your workforce to work smarter, quicker, and more effectively, which will mean you can produce higher quality work at a quicker pace. At the end of the day, this all results in more profit, and so it’s vital that you see training for what it truly is: not a cost to your business, but a way to make more money. Hopefully, you now feel more prepared when it comes to implementing effective training and development at your business. It is important to follow the tips that have been mentioned above if you want your business to stay ahead of the competition. This will enable all of your employees to be at the top of their game, which can only be a great thing for your firm. Plus, they will feel appreciated and it will increase their job satisfaction, which means they are more likely to stay loyal to your firm, rather than looking for work elsewhere.